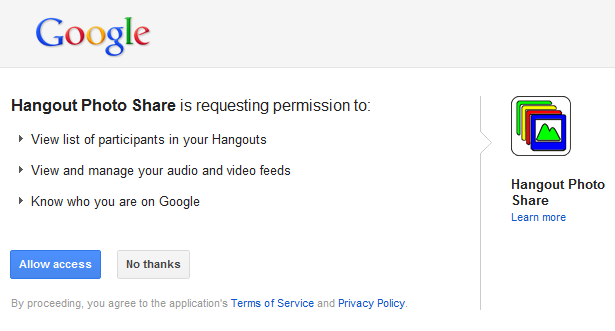 Important Notice: Since the Google+ Hangouts API has been shut down you can no longer use this app. Have you uploaded a lot of nice photos on Google+™ and want to talk about them with your friends? Have you been on vacation and want to show the photos to your family? 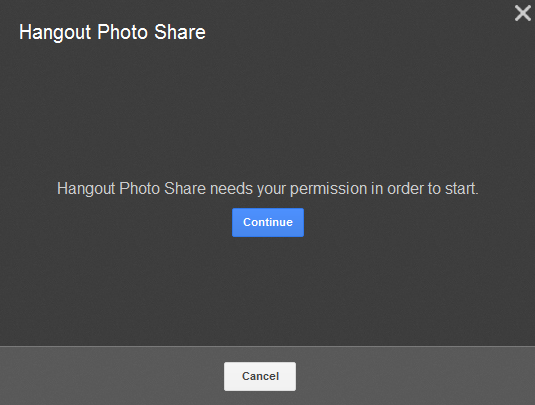 This Hangout app enables you to easily share photos you have uploaded publicly to Google+ with the other participants of a Hangout. If this is your first time using the app, you will be asked to authorize it. Clicking on "Continue" will open a standard Google Authorization window. After allowing access you can start using the application. Other people joining the hangout will find the application under "Apps" and can start it from there (and authorize it if this is their first time). 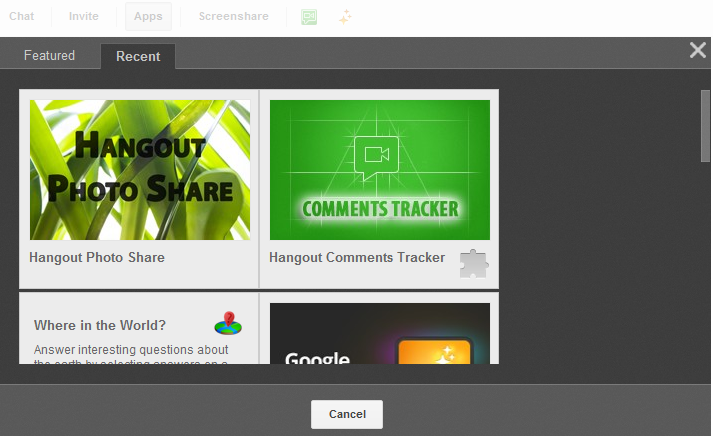 The next time you enter a hangout you will have easy access to the app in your recent apps. When started the app will at first search for albums you have publicly uploaded to Google+ and give you a list of all albums it found. You can filter the list by album name to search for a specific album, simply by typing in the text box. When you click on any album, the app will load all the photos in this album and display them for you to choose from. You can always go back to albums view to choose another album. 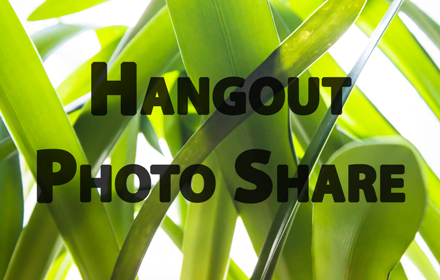 Clicking on a photo will then display this photo to all other participants in the hangout. If you wish, you can then hide the photo switcher by clicking the gray bar on the very left to have a more undisturbed view of the photos. You can always get the switcher back by clicking on the gray bar again. 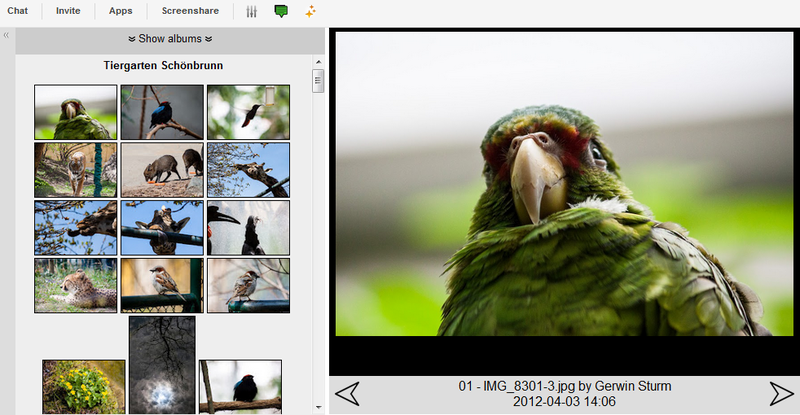 For albums with more than one photo you will also notice arrows which allow you to navigate through your album. The view for the other participants will be updated accordingly. This only works for public albums. 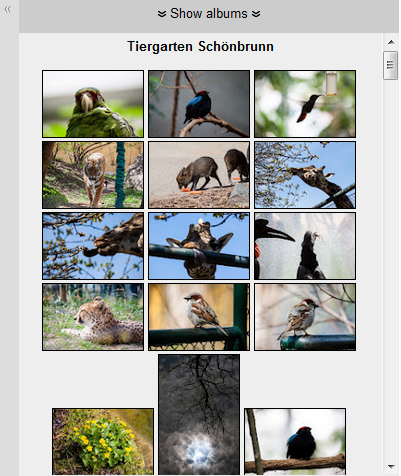 While the Picasa Web Albums™ Data API which is used to fetch the data would allow access to your limited albums as well, there is no way to make sure that only albums which would be visible to the other Hangout participants anyway would be displayed. And with people joining and leaving the Hangout randomely there would be no way to protect the privacy of your photos. So only photos that are visible to everyone anyway will be shown. 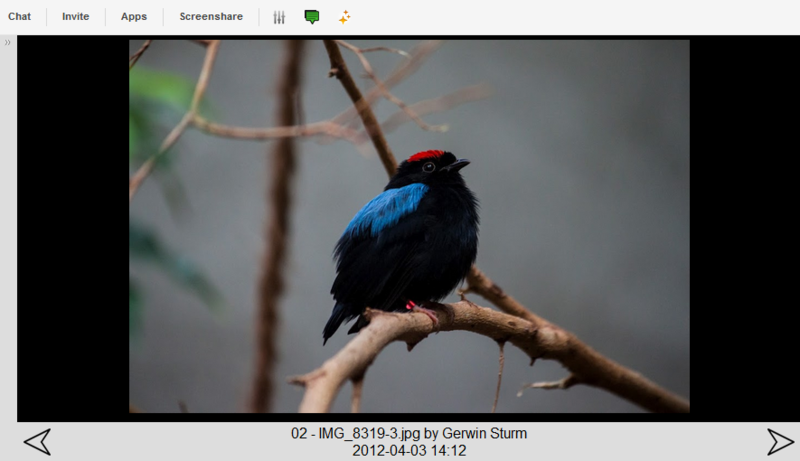 Since everyone can choose to display one of their own photos at any time, this might "overwrite" your currently displayed photos. So be nice to each others and don't switch photos while someone else is talking about the current photo. Only the owner of an album will have the navigation controls for switching through the photos of an album. The other participants will only see the photo the owner has selected. 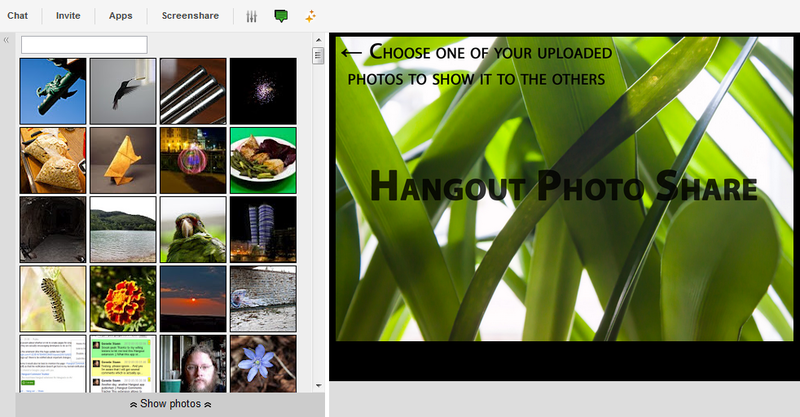 New participants to the hangout will see the currently discussed photo right after they start the app. This app is still in development and not all features might be available at all times. Also from time to time the app might not be working at all for you. I have tested this only using a new version of Chrome in Windows 7, so if you have issues running it in other browsers please let me know. Google+ and Picasa Web Albums are trademarks of Google Inc. Use of these trademarks is subject to Google Permissions. This site is not affiliated with, sponsored by, or endorsed by Google Inc. Programming by Gerwin Sturm, FoldedSoft e.U.